Just under 1.5 hours from Manhattan, there is a quaint little city in upstate New York called Beacon. I decided to join my roommate on his day escapade north to take in the autumn scenery and visit one of the largest contemporary art museums in the world, the Dia:Beacon. We hopped on a fairly easy-to-navigate train from Grand Central Station with a prepaid round-trip train fare and Dia:Beacon admission ticket package for $35/person. 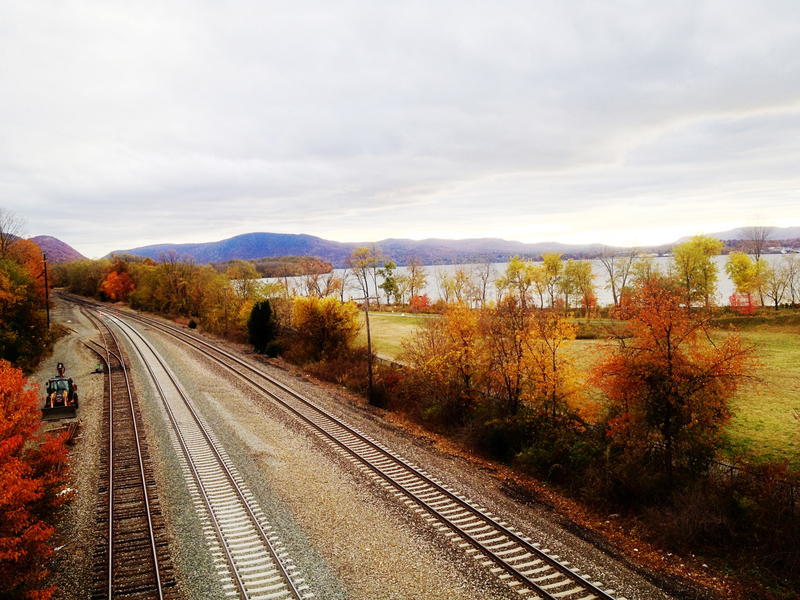 On the way to Beacon, the train ran alongside the Hudson River with stunning views. It was a pleasant and peaceful ride as we were leaving the hustle and bustle of NYC. When we got there, the vibrant colors of autumn and crisp, clean air welcomed us immediately. We walked along the historic Main Street, lined with many galleries and quirky stores until reaching a brunch spot, Swift at The Roundhouse. 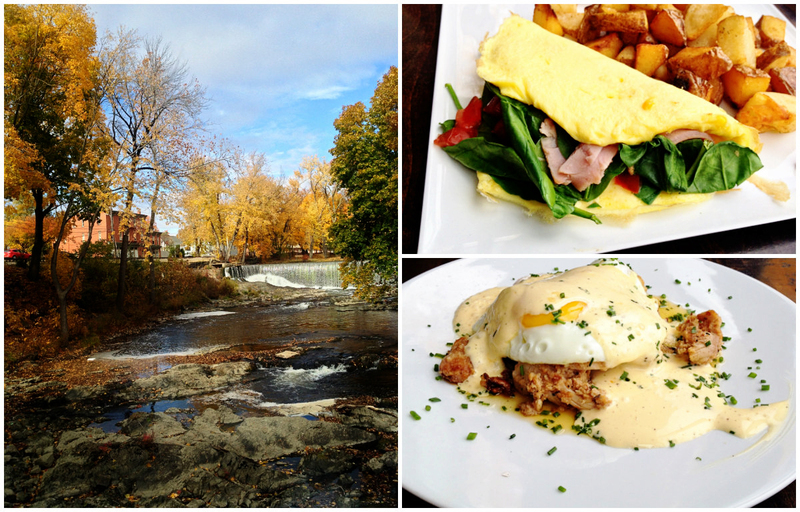 There, we had a hearty meal with the best and breathtaking view of the man-made Beacon Falls. The gem of the city really lies with the Dia:Beacon. Ever since the Dia Art Foundation built a museum here in May 2003, Beacon has experienced an influx of artists, attracting the art community from near and far. The building itself is a repurposed space from the previous Nabisco factory, reminding us of Beacon’s past as an industrial and manufacturing city. It is lit purely by natural light, which has deemed Dia:Beacon as a “daylight museum”. This also means the museum closes earlier during the winter. Unfortunately, no photography is allowed within the gallery. 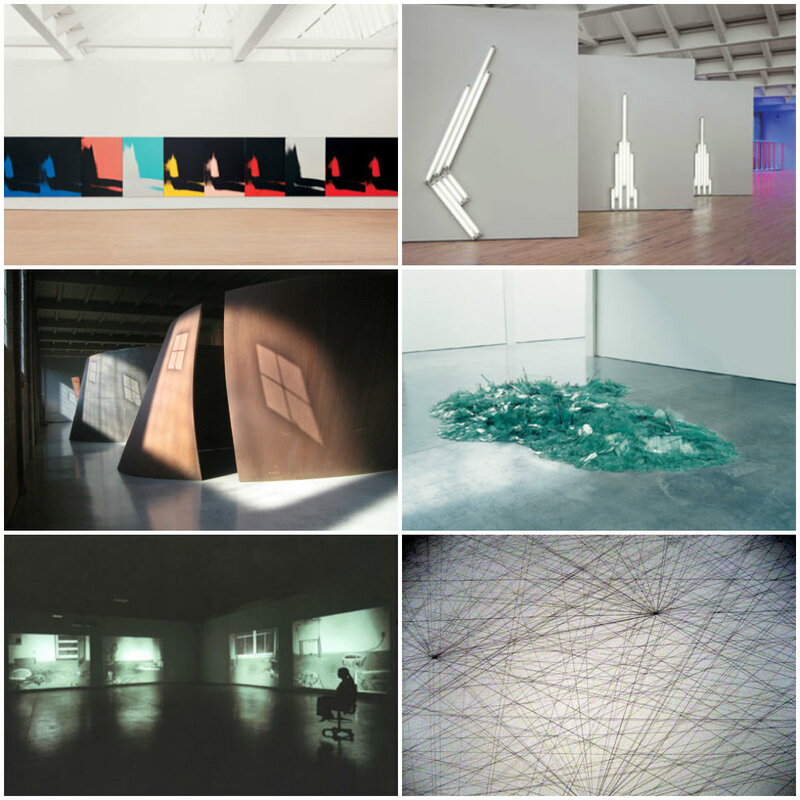 Their long-term collections include Andy Warhol, Bruce Nauman, and Richard Serra. Here are a few of works that we enjoyed from our trip. Overall, if you do find the time, it’s definitely worth making a day trip to beautiful Beacon!